Guyot double pruning is done from November to March. This is followed by bud thinning in spring. Leaf thinning in July improves the ripeness of polyphenols. Green harvesting in August consists of leaving behind the ripest bunches. This also reduces yields. The harvest generally begins in late September. This is done mostly by machine (90%), and partly by hand (10%). The tendency in the past several years has been towards sustainable viticulture. 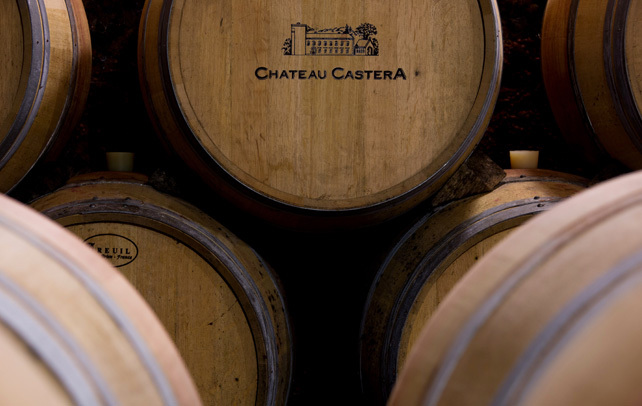 At Château Castera, this entails maintaining green cover between vine rows, limiting the use of pesticides, leaving plots of grubbed-up vines fallow, earthing up, unearthing, and treating waste water from operations in the vineyard and cellar. 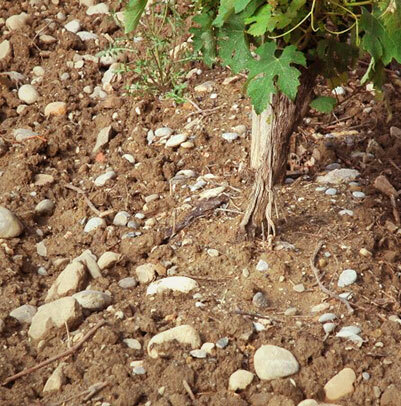 • Clay-limestone: composed of limestone hilltops on a clay platform, this terroir is favourable to the most widely planted variety, Merlot, as well as to Cabernet Franc. 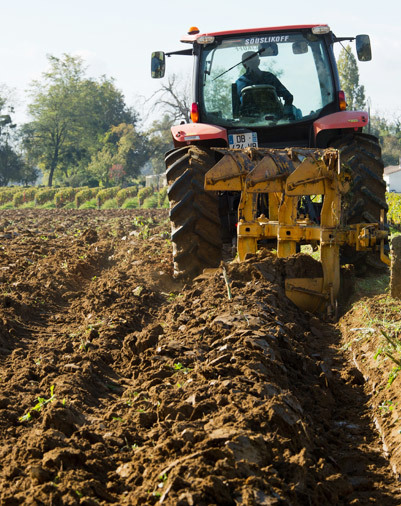 This type of soil also offers good natural drainage on gentle slopes. 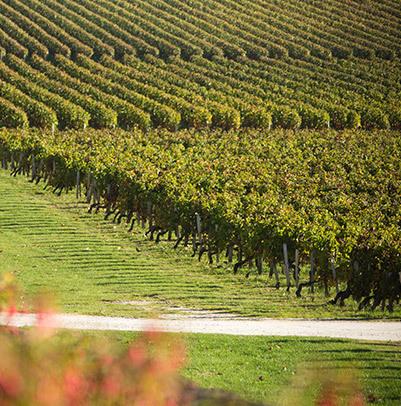 • Pyrenean gravel: composed of sandy and gravelly hilltops, this type of soil provides excellent drainage and is ideal for Cabernet Sauvignon – the Médoc’s number one grape variety. 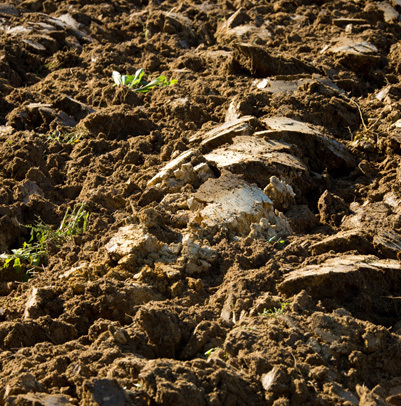 These two soil types constitute a truly outstanding terroir for great wines. meticulous sorting of grapes, daily pumping over, controlled temperatures, and fermentation of between 18-22 days. The quest for balanced grape tannin and oak tannin is essential in order to reflect the terroir and wine’s intrinsic fruitiness. 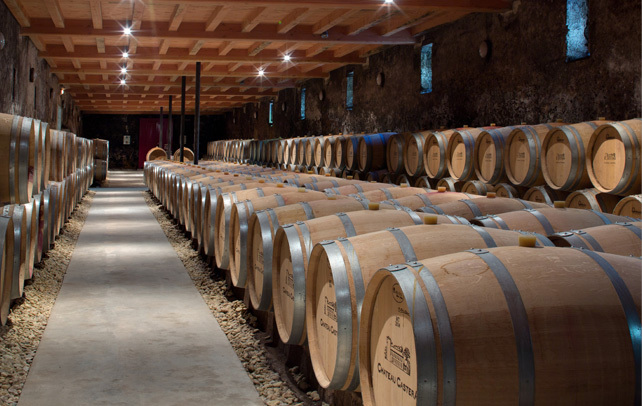 After ageing for 12 months in French oak barrels, the wine is bottled in the château and stored in our cellars for 24 months prior to shipment.